Flanders TH Series HEPA/ULPA Filter Modules are lightweight unitized low profile disposable ducted supply modules with a minipleat filter pack available in efficiencies from 99.99% on 0.30 micrometer size particles to 99.99999% on 0.12 micrometer size particles. They are available in a complete range of standard frame styles, 2”, 3” and 4” pack depths and sizes to meet the needs of critical applications where HEPA/ ULPA filtration is required. Individual testing under rigid quality control and modern assembly methods ensures conformance to specifications. The Flanders Channel Hood Model-22 is an ideal terminal filter hood for pharmaceutical and biotech Cleanrooms, or wherever hoods are regularly validated for performance and leak-free operation. They may be installed in a variety of ceiling types, including tee-bar ceilings, gel-seal grid systems, and plaster ceilings. 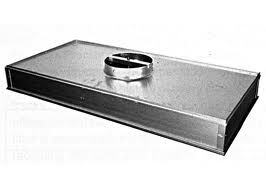 Ideally suited for Class 100 “spot” applications, they may also be used to create Class 10,000 to Class 100,000 areas by locating the appropriate number of units in the ceiling. Units may also be installed for 100% ceiling coverage to achieve cleanliness levels to Class 10. The Flanders ESD Model-22 is an ideal terminal filter hood for pharmaceutical and biotech Cleanrooms, or wherever hoods are regularly validated for performance and leak-free operation. They may be installed in a variety of ceiling types, including tee-bar ceilings, gel-seal grid systems, and plaster ceilings. Ideally suited for Class 100 “spot” applications, they may also be used to create Class 10,000 to Class 100,000 areas by locating the appropriate number of units in the ceiling. Units may also be installed for 100% ceiling coverage to achieve cleanliness levels to Class 10.
is desired and when extremely low static pressure values are sought. Flanders’ Model 39 AIRVELOPE® Fan/Filter Module is energy efficient, self-powered HEPA filter module, with replaceable HEPA filter that delivers ISO Class 5 or better airflow into VLSI Cleanrooms or clean process areas. 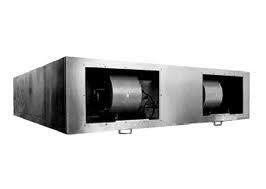 Since they require no ductwork or external air handling equipment, they can be placed in almost any location. 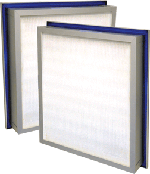 Flanders Pureflo-GS Gel Seal Roomside Replaceable Terminal HEPA/ULPA Filter Modules are lightweight low profile ducted units with gel seal minipleat filter packs. 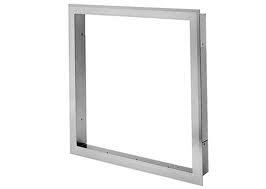 They are designed to provide unidirectional airflow when installed in drywall or tee-bar ceilings. Pureflo Gel Seal modules are available in two sizes: nominal 24 in. x 24 in. and 24 in. x 48 in. with either nominal 10 in. or 12 in. diameter inlet collars and in two particle size efficiencies: 99.99% on 0.3 micron and 99.9995% on 0.12 micron particles. Every filter is scan-tested after assembly to meet or exceed IEST RP-1 requirements for a Type C or F filter. Pureflo-FPM Fan-Powered Module HEPA/ULPA Filter Modules are lightweight unitized low profile units consisting of a fan/motor assembly and a minipleat HEPA/ ULPA filter pack, designed to provide unidirectional vertical airflow from tee-bar ceilings. The modules are available in two sizes: nominal 24 in. x 24 in. and 24 in. x 48 in. ; and in two types: a standard replaceable unit and a room side replaceable (RSR) filter. Module efficiencies are 99.99% on 0.3 micron particles or 99.9995% on 0.12 micron particles. The Airvelope PCR is a self-contained Laminar Flow module designed to meet requirements for a stand-alone Cleanroom with cleanliness levels of ISO Class 5 or better. FLANDERS ATECS VORTEL (TM– Patent Pending) SYSTEM offers superior air distribution, low noise, and easy cleaning without the need of other diffusing devices. Modifiable, Customizable, and Customer / Project specific flow distribution allows problem area “fixing”. Flanders Dimple Pleat HEPA/ULPA Filters are available in efficiencies from 99.99% on 0.30 micrometer size particles to 99.99999% on 0.12 micrometer size particles. They are available in 2”, 3”, 4” and 6” depths with a complete range of sizes and standard frame styles to meet the needs of critical applications where HEPA/ULPA filtration is required. Individual testing under rigid quality control and modern assembly methods ensures conformance to specifications. Flanders CHANNEL-CEIL® System is recognized as the state-of-the-art product available for construction of HEPA filter ceilings. Flanders invented the CHANNEL-CEIL® System in 1969 as a solution to the problem of bypass leakage around filters in vertical laminar flow Cleanrooms. Since then, this system has been installed in over 4,000,000 sq. ft. of Cleanrooms worldwide. Flanders Perma Frame is used to mount ducted or fan-powered terminal modules in a hard ceiling application such as sheet rock or plasterboard. The Perma Frame is ideal for biotech facilities that require frequent wash-down of the Cleanroom as well as isolation hospital rooms where HEPA type filtration is frequently required.